The pass below expired May 30, 2012. The page is now "hidden" from links on this website, but sometimes there are old links out there on the internet that will bring you to this page via a search or just clicking on old links. Contact Terre for current specials. 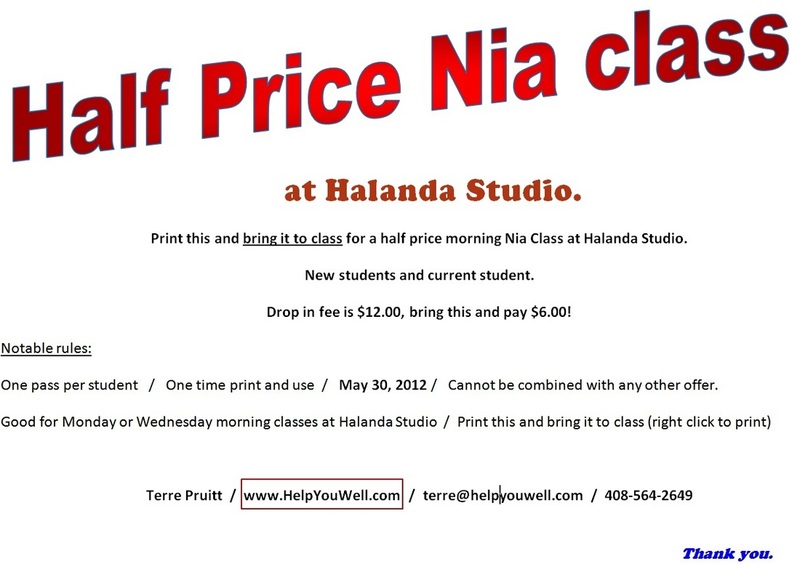 Nia classes are in San Jose (Willow Glen) Mondays and Wednesdays. .
To Print right click and use "Print Picture"